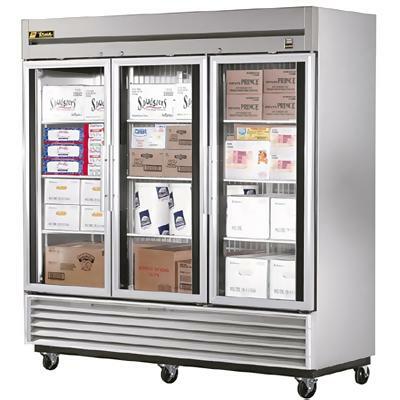 We Handle All Your Low-Temp Commercial Refrigeration Needs. 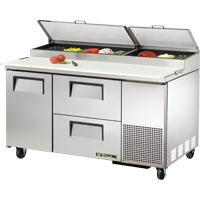 No matter what business you run, you need top-quality refrigeration to keep employees’ lunches cool, maintain prepped food items, or keep drinks cold in chilled display cases. Our custom solutions are perfect for whatever need you have. Working with the most respected names in the refrigeration industry, we can provide you with the perfect refrigeration unit (or multiple units) for every step along the way. We offer top-of-the-line True refrigeration products, as well as service all other brands of low-temperature refrigeration. If you work in the food service industry, you know that it is vitally important that your ingredients stay fresh. A properly working refrigeration unit pays for itself by reducing spoilage costs and keeping your establishment compliant with health regulation codes. Don't leave this component of your business operations to chance! Contact us at 602-843-8203 to learn about all of the options we have to put the chill back in the air.